Yes, Ducks lay eggs you can eat! Yes, ducks lay eggs that you can eat! Many Americans have never eaten duck eggs even though they are still popular in other parts of the world. We have over 100 beautiful ducks that lay eggs for us almost year round. There are seven different breeds that range in size, form, and coloration. Like your backyard chicken, ducks start laying their eggs in the early spring and begin tapering off around December. Egg production slows in the winter but doesn’t completely stop. Unlike chickens, ducks don’t roost and instead lay their eggs on the ground in nesting boxes or in straw bedding. Ducks aren’t as cold sensitive and chickens making them much easier to take care of in the winter. Generally, ducks don’t have any disease issues and continue to be productive egg layers into their older age. 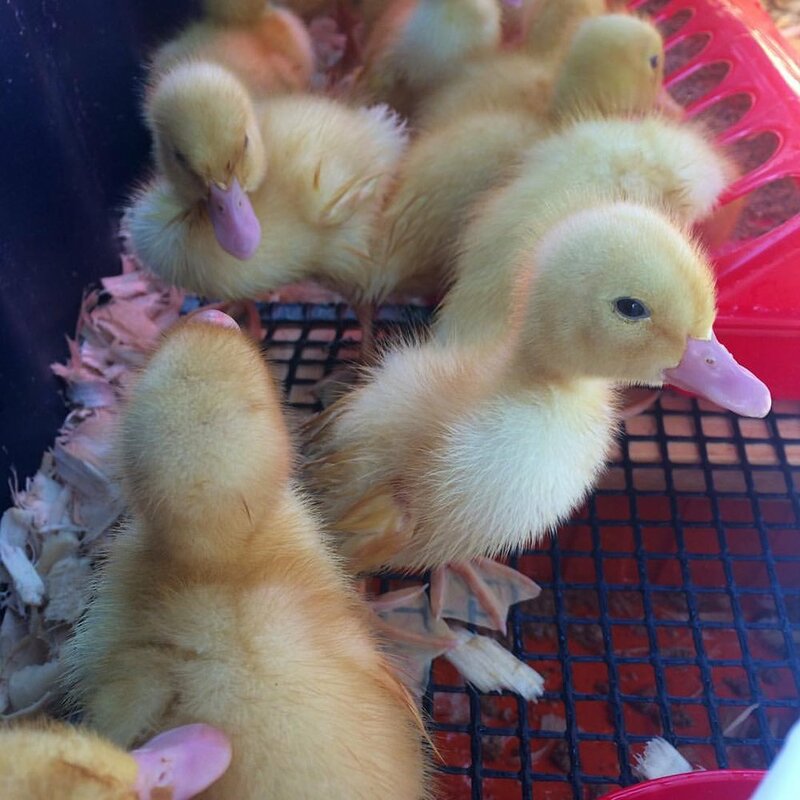 The only con to raising ducks is the mess they make when playing in their water tubs. Our ducks are raised in a large pasture, so the muddy mess isn’t an issue. We just move their fencing to fresh ground as needed. Ducks are master foragers, so we intentionally cover crops for our ducks to ensure they have new areas to eat, young green grasses, grains and legumes to eat. These cover crops also bring in loads of insects. Ducks are amazing bug hunters and love to spend their days catching beetles and flies out of the air and digging around in the dirt for juicy worms. Since bugs and grass aren’t enough to sustain egg production and flock health, we also provide a standardize poultry grain diet to the ducks to eat at their leisure. Why choose to eat a duck egg over a chicken egg? Duck eggs are more nutrient dense, partly because of their larger size, but also because they are pasture raised and tend to forage more than chickens. The eggs are higher in protein, vitamin B12, and omega 3 fatty acids. 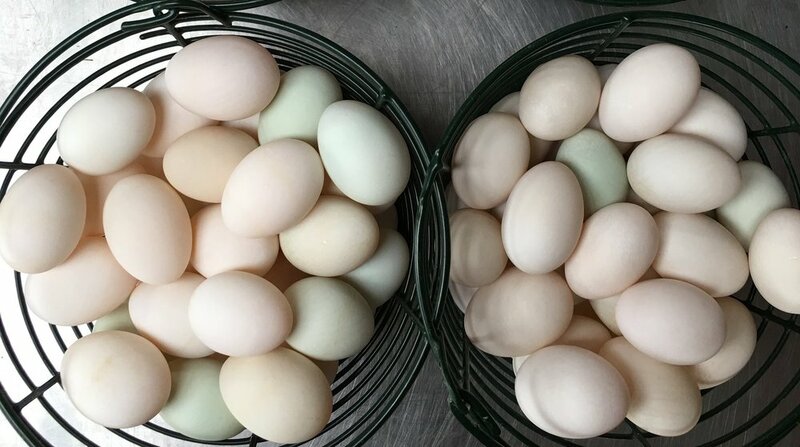 Duck eggs also have a longer shelf life than chickens eggs due to their thicker shells. Duck eggs can be eaten just like chicken eggs! They are great scrambled, fried, hard-boiled and used in recipes. Baking with ducks eggs makes your baked goods extra tender and fluffy. Our favorite recipes to use duck eggs include frittatas, deviled eggs, and chocolate chip cookies.